If you're like me, your Facebook and Twitter feeds are loaded with photos of friends, children and animals doing something cute and funny. I love seeing the pictures, but my favorites are the animated. When my grandchildren are chasing each other around a tree, a moving picture tells the story best. Most often, those little action clips are animated image files created using the Graphics Interchange Format, better known as GIF. GIFs have been around since the 1980s when they were valued for their small file size, which made them ideal for transmitting over telephone modems. Programmers later devised a way to animate GIFs by stringing together a series of still images to create a looping mini movie. 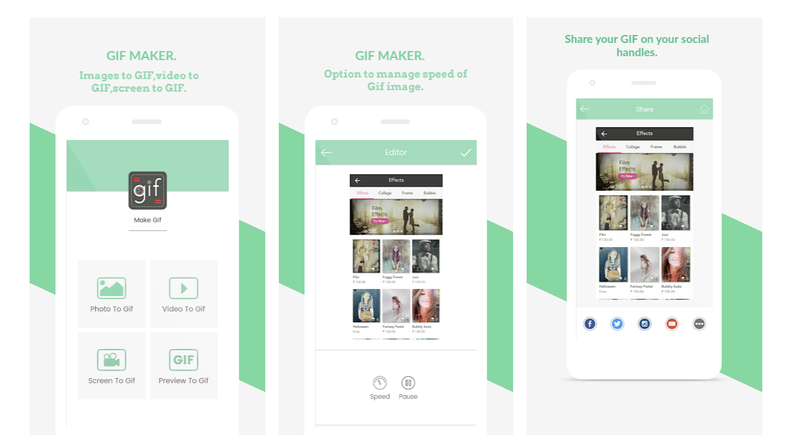 A free app called GIF Maker distills the GIF creation process down to a few simple steps performed on your mobile phone. The app will work with a collection of up to 50 still images. It can also capture a sequence of frames from a digital video or record whatever activity is displayed on your device's screen. Once the source content is selected, users can adjust the speed of the display and save the finished file in high resolution format. For there, it can be shared on Facebook, WhatsApp or Twitter and sent using email or a messaging service. 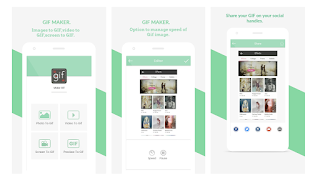 GIF Maker is a free download available for Android devices in the Google Play Store. You can get more information and see samples of animated GIFs at the Setubridge Technolabs website.